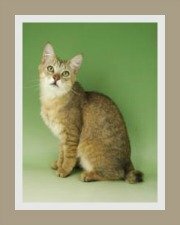 The Australian Mist is classified as a new cat breed and as such is still a rare cat breed. It was founded by the Australian cat breeder, Dr Truda Straede in the late 1970's and was originally known as the Spotted Mist. 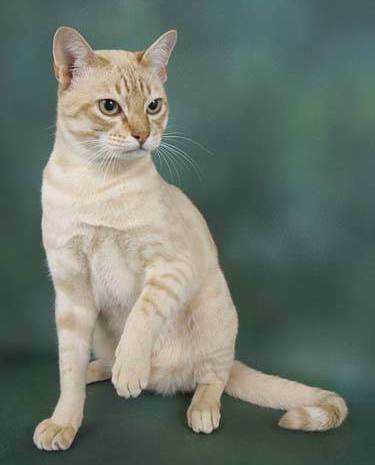 The Australian Mist cat has a short, glossy, fine but dense coat that lies close to the body. The coat comes in spotted and marbled patterns. The spotted cats are described as 'delicately spotted' and the marbled pattern as 'intricate swirls'. The color of the cat is determined by the spots and swirls, not by the ground color. The pattern is overlaid by ticking giving rise to the description 'veiled' mist. The pattern must be distinct but delicate. 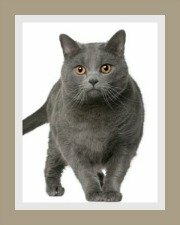 The Australian Mist is described as medium sized but very muscular cat. It has a long thick tail which is thickly furred. The cat's back legs are slightly longer than the front legs and exhibit great strength. 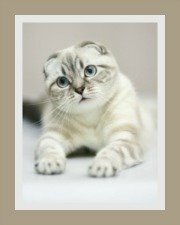 This domestic cat has a broad head that is slightly rounded and its face has an open, sweet expression. Its eyes are set wide apart and the color can be any shade of green from ultra marine to chartreuse. 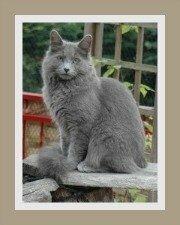 This cat has firm chin, well developed whisker pads and a broad nose. Its ears are medium sized and tilt slightly forward. The Australian Mist makes an excellent pet for children. They are tolerant of handling provided it's not rough. Children need to be guided on how to handle all cats. Spayed/neutered cats get on well with all pets - other cats and dogs. 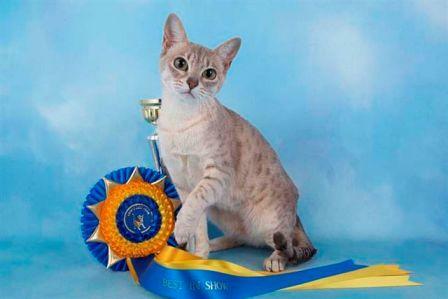 It is described as a people-loving cat, affectionate, friendly and gregarious. This cat makes a wonderful companion for the elderly and is a real lap cat with a gentle relaxed nature. Of course it can sometimes be lively, playful and fun. The Australian Mist is an intelligent cat that apparently has a low urge to hunt. Like a dog, it does tend to follow its owners around the house. This is a low-maintenance cat breed. The coat needs to be brushed once or twice a week. 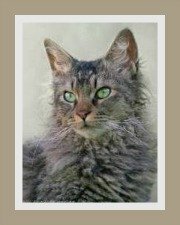 For complete cat care you may want to visit our pages on grooming. We offer advice on coat care, claw care, teeth care and much more. 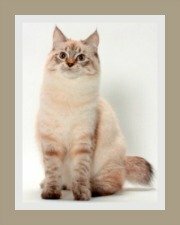 This is a healthy cat breed, with no hereditary or genetic issues. Cats with lighter coats may display some sensitivity to sunlight and skin allergies, so sun exposure should be minimized. Even though it is a healthy breed, cat insurance is recommended. No special diet is required, except you should provide your cat with a well balanced diet. Today, you have a choice of what type of cat food to feed your cat - raw, dry or canned. Keep your cat well hydrated by providing fresh water daily. The Mist has an average weight of 3.5 - 6.0 kg (7.7 - 13.2 lbs). Female cats are lighter than the males. This little beauty has an average life span of 12+ years.